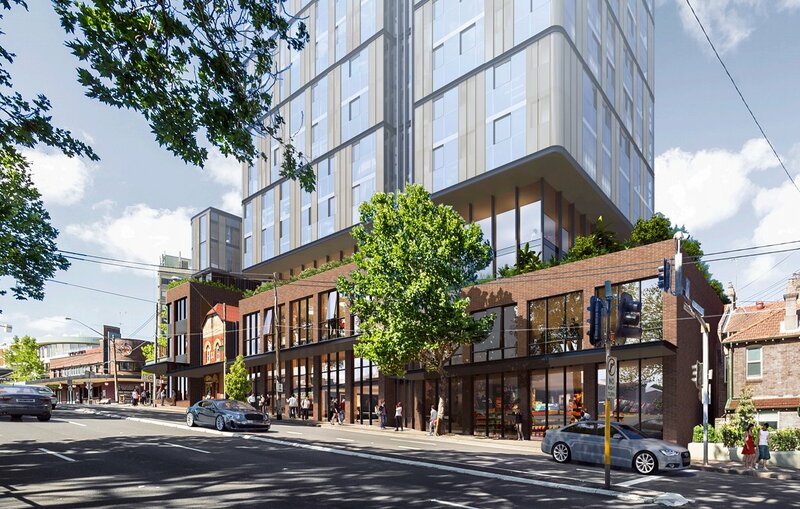 An amendment to North Sydney's planning scheme has been initiated in recent days as Legacy Property looks to capitalise upon a site located in a boom development corridor. 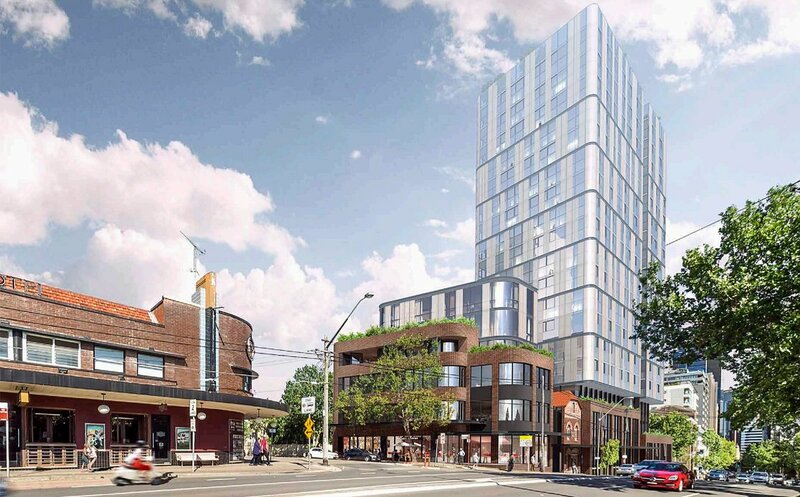 253-267 Pacific Highway is subject to a Planning Proposal that would yield a substantial development across a 1,469 square metre corner site. Plans have been drawn up that seek to unlock the well positioned site's potential by way of a new mixed-use development. Aided by PTW Architects and GM Urban Design and Architecture, Legacy Property hopes to establish a new site-specific height control and FSR control, resulting in a high-density, dual building outcome. The result sees a conceptual building envelope spanning 67 metres with a smaller mid-rise reaching 22 metres. Commercial, residential, retail and community uses are envisaged for the development. 89 residential apartments are included, as is 1,667 square metres of office space over four levels; 253-267 Pacific Highway holds a total Gross Floor Area of 10,477 square metres. Public benefits are outlined and sees the inclusion of affordable rental housing (3 x 1 bedroom apartments and 1 x studio apartment) and the dedication of both office and community floor space for Council use. 349 square metres is expected to be seeded to Council as affordable office space for ‘start-up’ businesses whilst further space at ground level is earmarked for community facilities. Continuous active edges will be provided to Pacific Highway and West Street. Church Lane as the least active of the site's three frontages will be widened and activated. 253-267 Pacific Highway aside, Legacy Property has been an active player in the greater North Sydney development scene in recent years, having had dealing in the North Sydney - Crows Nest - St Leonards urban renewal corridor. Miller Street in North Sydney, Oxley Street in Crows Nest and St Leonards' 617-621 Pacific Highway have all fallen under the Legacy Property umbrella, although the developer did not see any of the sites through to completion. Two sites were divested after Legacy Property's successful attempts to create development uplift whilst the Crows Nest land holding was compulsorily acquired during 2016 in order to facilitate the new Crows Nest Metro Station. It too received the green light for 100 apartments over 13 levels prior to its acquisition.